In the summer of 1995, Kees Moeliker, a dutch researcher, was sitting behind his desk in the glass building of the Rotterdam Natural museum. Suddenly he was alerted by an unusual loud bang coming from the direction of the window. Outside the building, a male mallard (the common wild duck) was found dead, laying on its belly in the sand. A case of homosexual necrophilia. 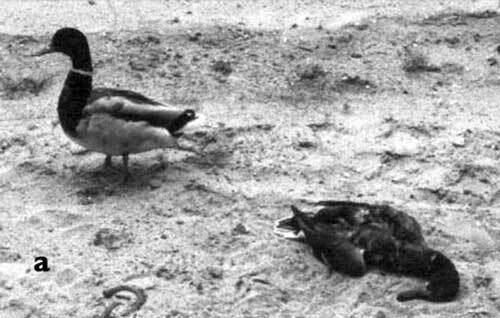 Next to the dead duck, another male mallard was present that forcibly picked the dead duck’s head for a few minutes after which it mounted the corpse and began forcefully copulating with it. 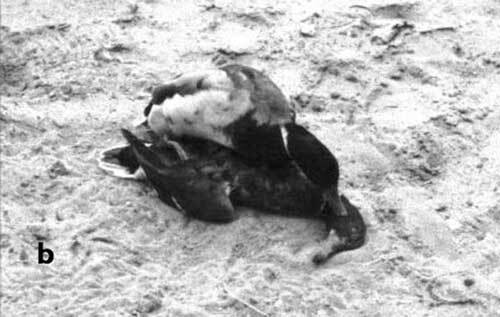 The male mallard raped the corpse ( Dead duck ) almost continuously for 75 minutes. This bizarre observation is unique because homosexual necrophilic behaviour has never been described before. 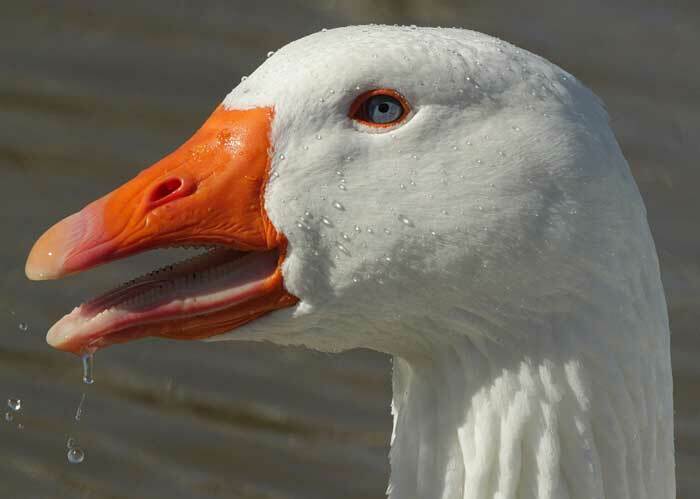 Interestingly, homosexuality is not very rare in ducks, with up to one in 10 duck couples being homosexual. Also occasionally necrophilia can be seen, but only with males trying to mount dead females.